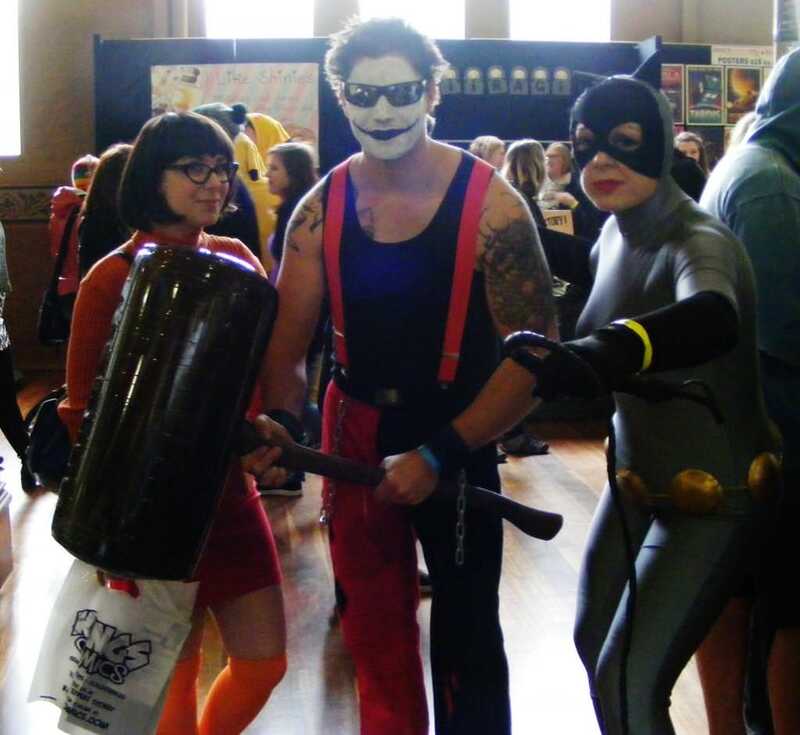 On Sunday I got all kitted up in my Velma Dinkley cosplay (last seen at Supanova in 2011) and headed on down to the Royal Exhibition Centre in Melbourne for some geeky fun. 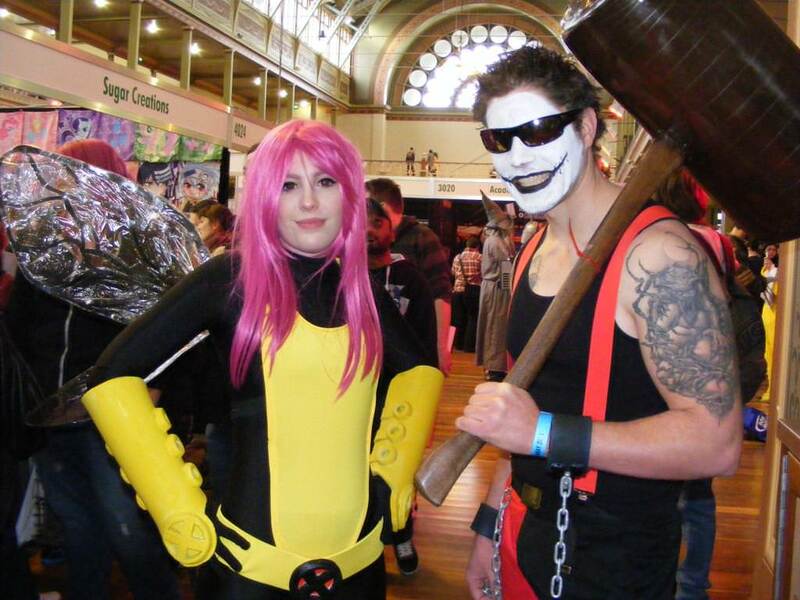 Firstly, can I just say that the Royal Exhibition Centre was an awesome venue for Comic Con. 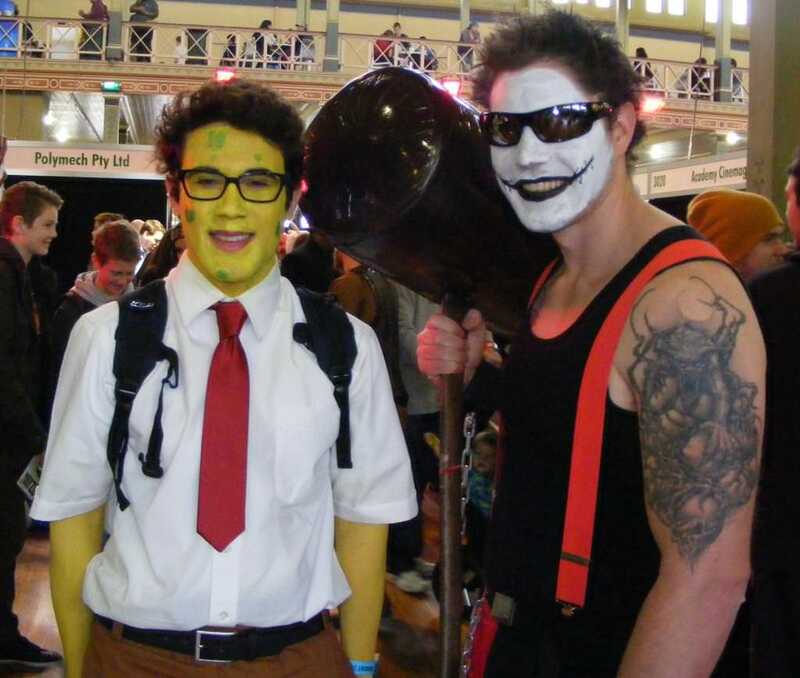 The last Comic Con I attended was in 2012 at the Convention centre and it was horrible. There were just too many people crammed into too small a space and it was dismal. The Royal Exhibition centre is much bigger and much more suited to a convention of this size. We had a brilliant time wandering about. As you will already know if you’re a regular reader, my favourite part of any con is the cosplayers. So naturally I have a bajillion cosplay pictures to share with you. Here we go! We made it our mission to find as many Batman characters as possible so that Luke could pose with them. There were so many awesome Batman-themed cosplayers, and the first one we found was this awesome retro Catwoman. 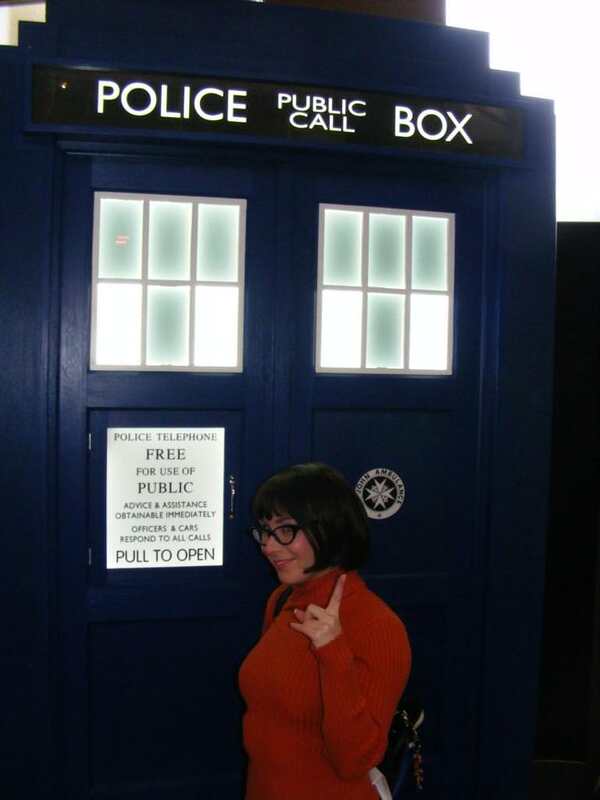 I couldn’t resist striking a pose in front of the TARDIS. I was so impressed by this gorgeous Pixie cosplay. Her wingspan was massive and she was just the cutest! 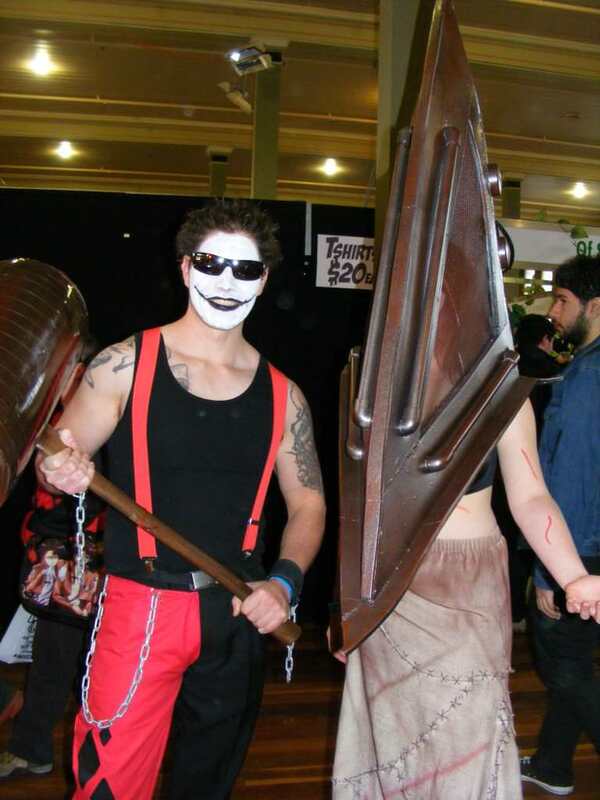 How creepy and awe-inspiring is this fantastic Pyramid Head cosplay? I don’t know how she managed to hold that head upright for the entire day, but she looked fantastic. Spongebob! Sometimes the simplest costumes are the most effective. I couldn’t help but swoon a little over this Prince Oberyn impersonator. Who wouldn’t want their very own Dornish Prince to go to battle for them? 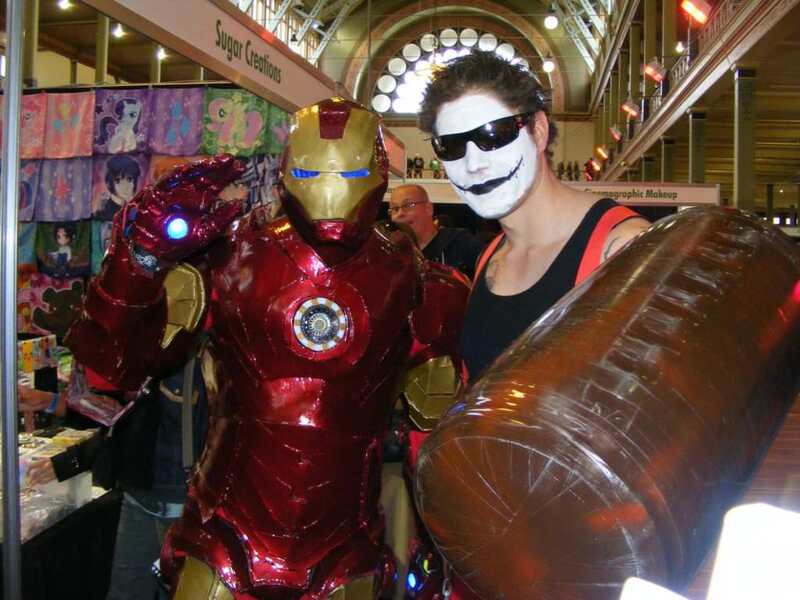 I’ve seen a lot of Iron Man costumes in my time, but this one was by far the most epic. His hands, chest and eyes all lit up! 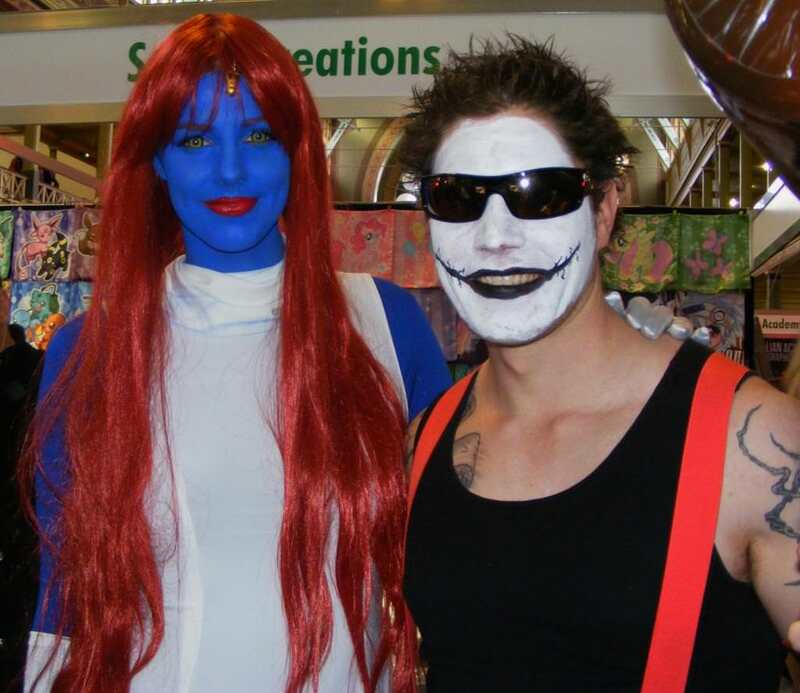 Mystique is my favourite X-Men character (Duh! She’s able to shape-shift into any form she wants!) And this Mystique was so gorgeous. She was so tall too, and even towered over Luke! Wolverine! This guy had serious attitude, and I adored his special effects makeup. 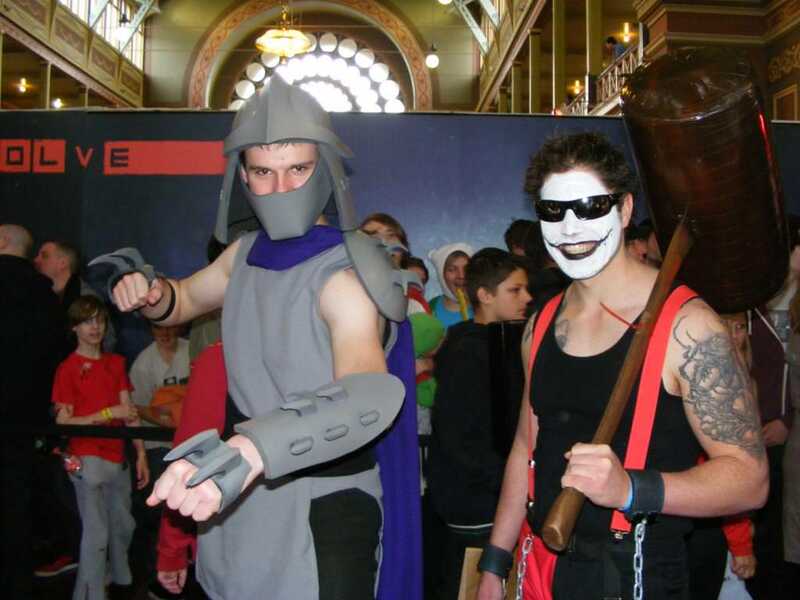 Moments after this picture was taken, Shredder was swept away by a cosplay conga-line. True story! This group was easily the best thing I saw all day. Not only were their costumes fantastically detailed but they were super-sweet. 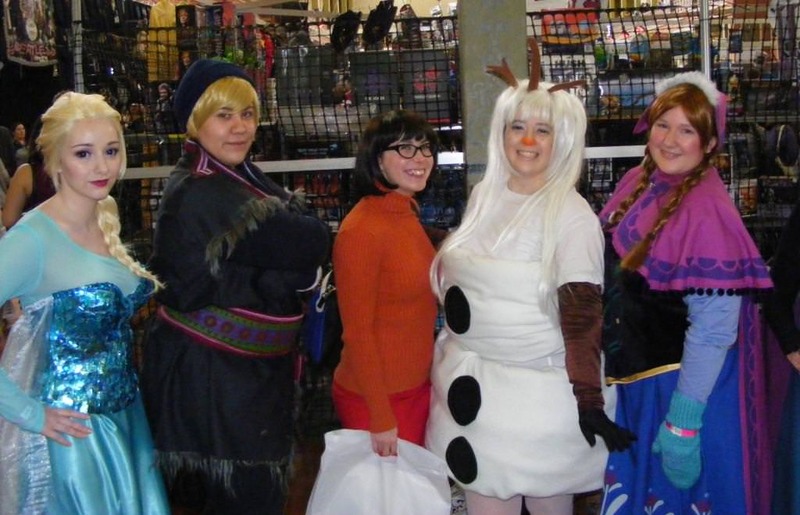 Just look at that Olaf costume! Later in the day I saw this group chatting to a couple of little girls who looked like their dreams had just come true. 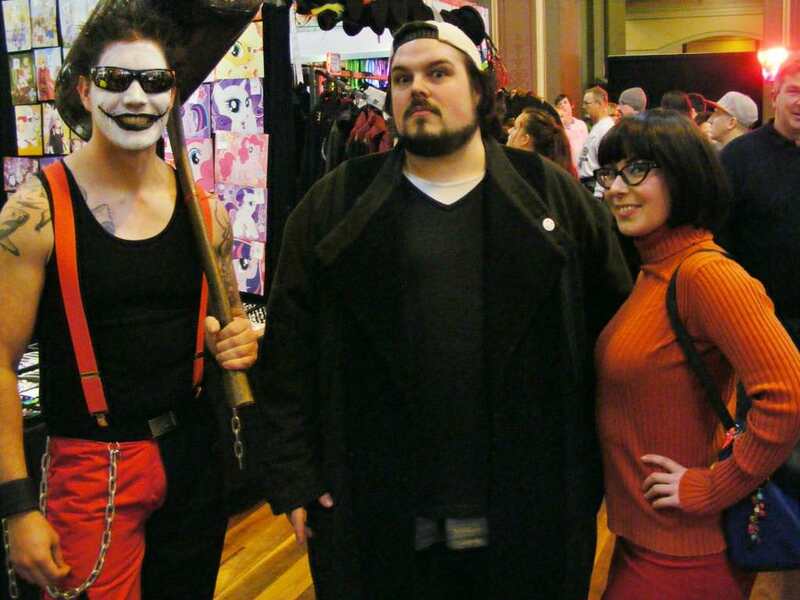 I knew there’d be a lot of Freddy Krueger cosplayers because Robert Eglund was one of the special guests at Comic Con this year. But this one was the creepiest. Check out her teeth! These two were Officially The Cutest Thing I Saw at Comic Con. 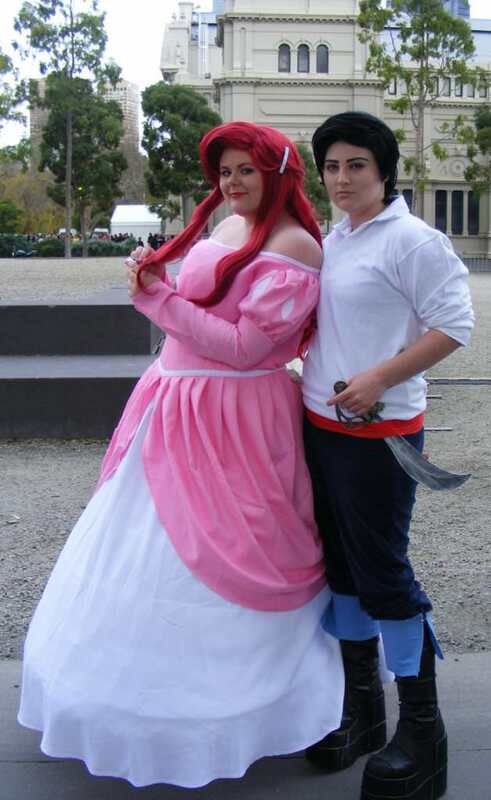 I love Disney Princess costumes, but gender-bend Disney Princes? Even better! 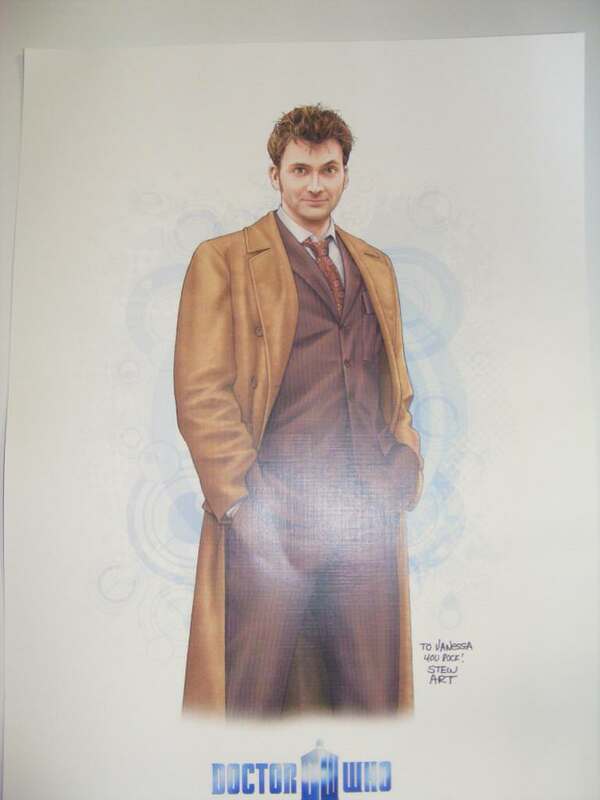 I couldn’t resist this incredible Dr Who print from Stewart McKenny. 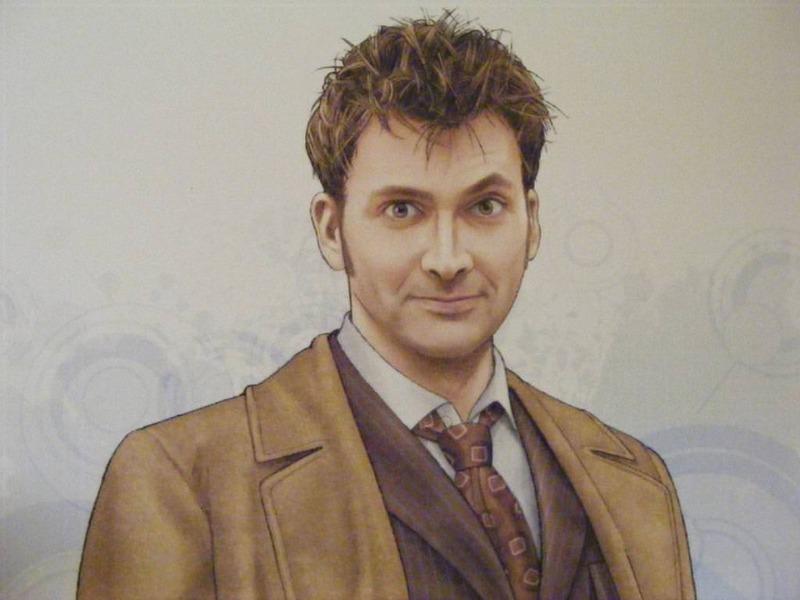 Stewart has a whole series of amazing pin-up prints, but I was so drawn to the lifelike detail in this tribute to the 10th Doctor. Stew has captured Number 10’s impish personality so perfectly! I had a wonderful time at Comic Con. I’m feeling really keen to visit more cons this year and to try out some cosplay ideas that I’ve had kicking around for a while. I’m so excited to get back into the con scene, because it’s something I really love. 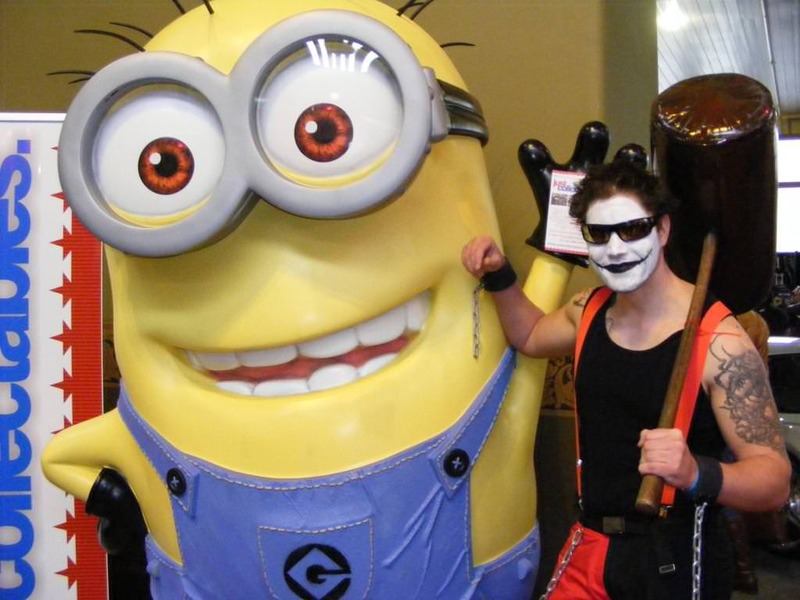 Did you make it to Comic Con this year? How did you find it? Such great photos! Looked like there were some epic costumes around!! There were some incredible costumes. My pictures don’t even do them justice. 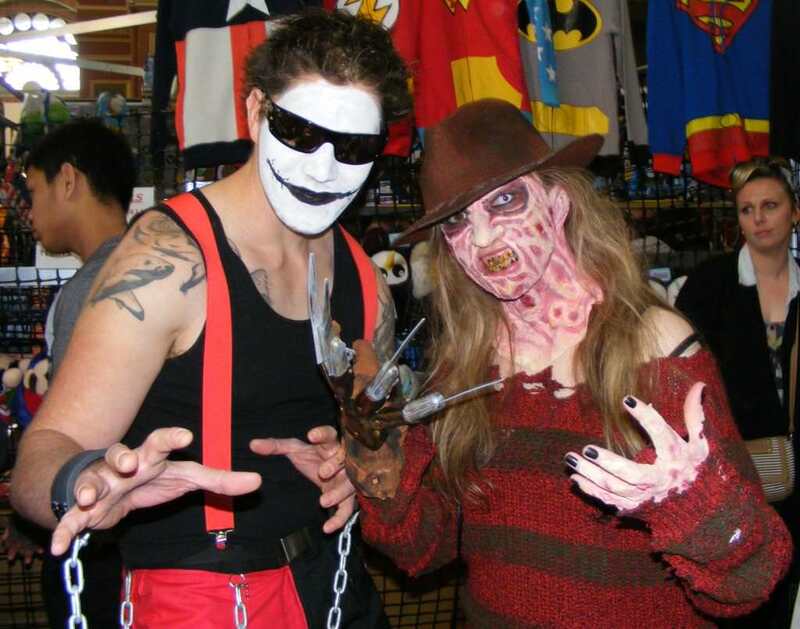 OOOOOH hahah you have a photo of me as Freddy Krueger up here (my friend randomly stumbled across your blog while he was trolling for Freddy Krueger references LOL)! Thanks so much! XD it was AMAZING to meet Robert Englund and he said he LOVED my outfit, so I can pretty much die happy now! Your outfit was fantastic! I was especially impressed with your makeup. You met Robert Englund!? That’s awesome. You’re such a lucky duck! AWESOME! Lol I love the double Velma shot, especially your cute post and yes that Mystique is gorgeous. I haven’t actually been to a comic con (or Discworld convention for that matter) but always wanted to – so much fun! Also – using a yoga mat for the mallet was a good idea! Thanks so much! If you ever get a chance, I’d definitely recommend going to a convention. They are brilliant fun. The mallet was so fantastic. The pictures don’t even do it justice. Because he used yoga mats for the base, it was surprisingly light (which is a bonus when you’re carrying it around all day). wow! great costumes! loving the D.T artwork! Isn’t the artwork incredible? Stewart McKenny is one talented man. your boy is sooooo tall! 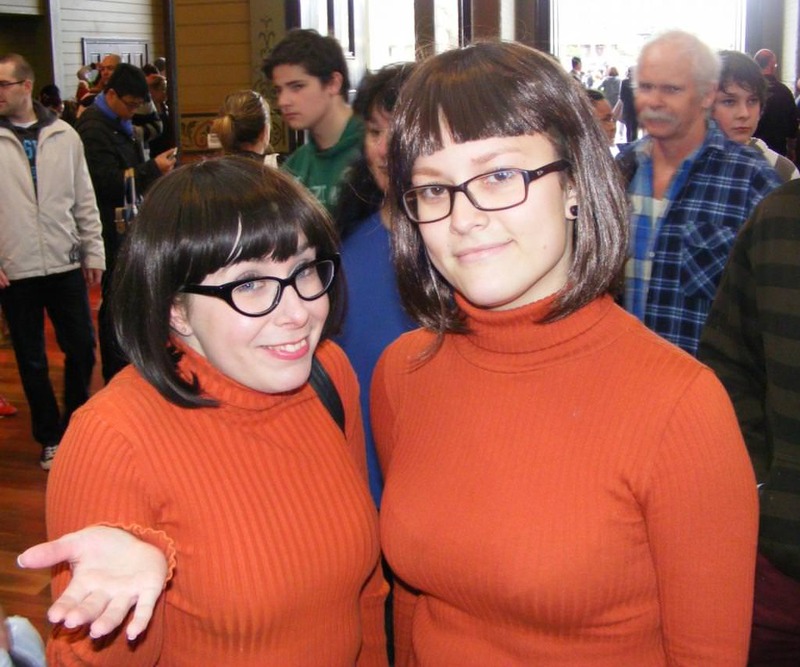 I love your Velma costume too. Awww, thank you. This is one of my all-time favourite cosplay costumes. It’s just so much fun to wear, plus it’s really comfy. He is practically a giant. I feel even tinier next to him. 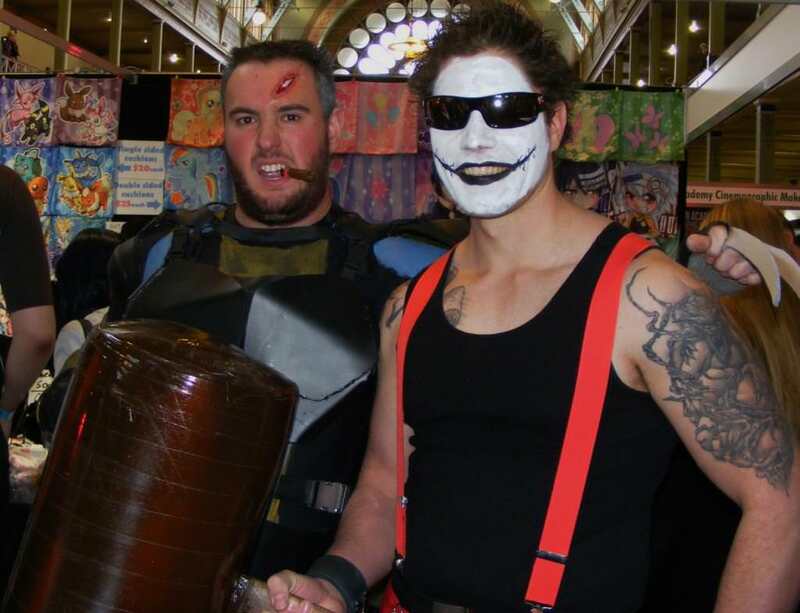 Argh I wish I had the time and money to go to con’s in Melbourne. They always look so fun!